Choosing the proper machine for your use depends on a variety of factors, including the amount of space you have, the amount of money you want to spend, and whether you want to make puzzles as an in-home business. If you plan to make jigsaw puzzles for income, you will likely want to invest in a cutter that allows you to create a wide variety of puzzle sizes. It should also be able to stand up to more frequent use than if you buy a cutter strictly for hobby purposes. Some of the available cutters are small enough for home use, but some are quite large and are appropriate for heavy industrial use only. To decide a jigsaw puzzle die, information of size and how many pcs is necessary, and uf for custom jigsaw puzzle dies, please offer design ot pictures. 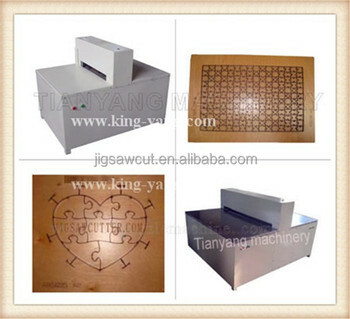 Qingdao J.H.X Diecutting Solutions Co., Ltd.